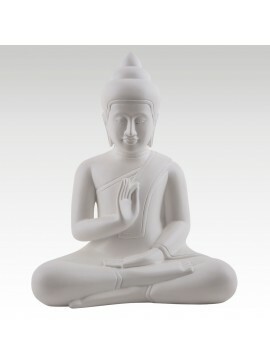 The Buddha is displaying the "dispelling fear" pose, also known as the Abhaya mudra. 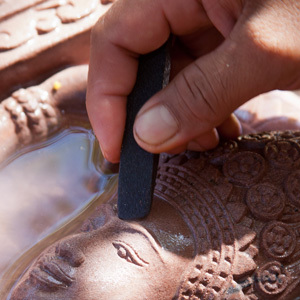 The Abhaya mudra is one of the principal mudras in Buddhism, and seeks to bring out the individual's inner strength in order to banish fear and other unwanted emotions. 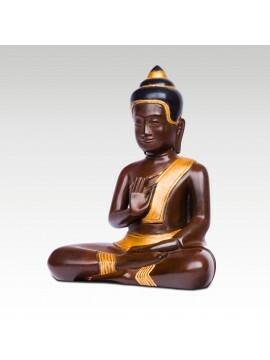 The right hand is shown against the chest, palm outwards. 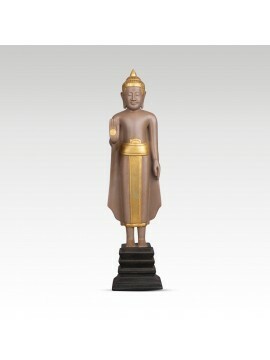 The Standing Buddha two hands up is nowadays one of the most popular representations of the Buddha in south-east Asian countries. 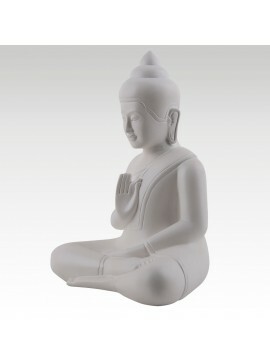 It’s a variation of the classical postures of the Buddha. 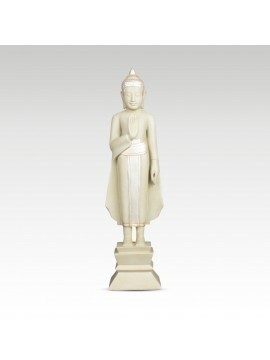 This Polychrome statue Standing Buddha one hand up is a beautifully rendered statue hand made in this unique form. 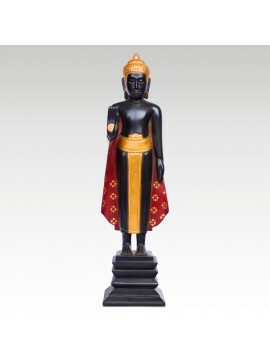 This statue was produced following the technique of Polychrome. 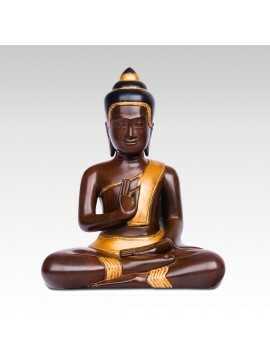 It portrays Buddha Sakyamuni protected by a mighty snake called ‘Naga’, and was inspired by an image in the Bayon style dating from XIIth-XIIIth centuries. 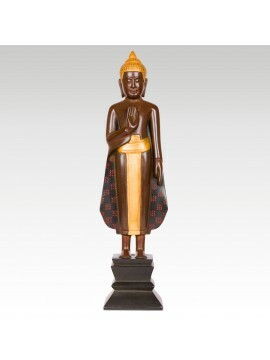 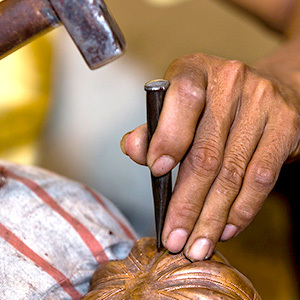 This Polychrome statue of Buddha teaching was handcrafted by our artisans using the sophisticated polychrome process. 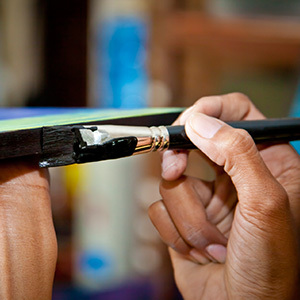 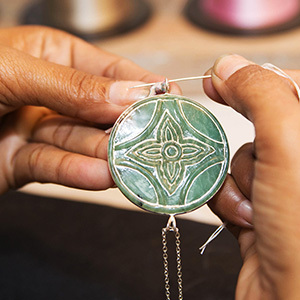 You will notice a soft and shiny finish which enhances the value of the material. 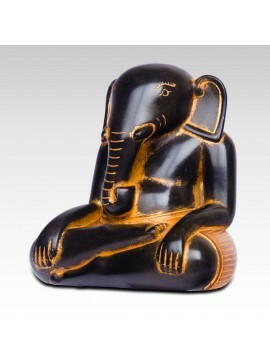 This delightful polychrome statue shows the god Ganesha, with his elephant head and human body. 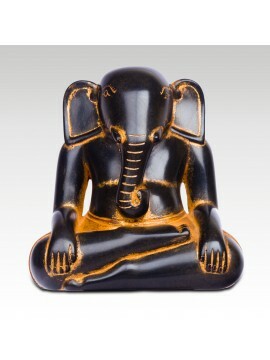 The figure of Ganesha, originally Hindu, is very popular in Asian cultures and now transcends many religious barriers. 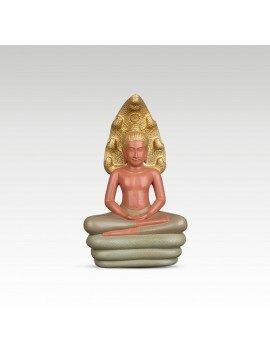 He is commonly worshipped by all branches of Hinduism, Jains and Buddhists.